When you have a general anaesthetic, you are given drugs that make you unconscious. With a general anaesthetic, you are not aware of anything, including pain. A local or regional anaesthetic is when drugs are injected into an area of your body to make it numb. But with a local anaesthetic, you are not unconscious. With a local anaesthetic you may also be given a sedative drug to relax you. The sedative may also stop you remembering much about the procedure. Most people will have some sort of anaesthetic at some time in their lives, whether it's because they are having a baby, having an operation, or having an uncomfortable procedure such as a colonoscopy. On this website you can find information about the different types of anaesthetics and what a doctor who specialises in anaesthetics (called an anaesthetist) does. For example, it has information about general anaesthetic, regional anaesthetic, procedural sedation, conscious sedation and pain relief. You can also read about what to expect before you have your anaesthetic and after you wake up. 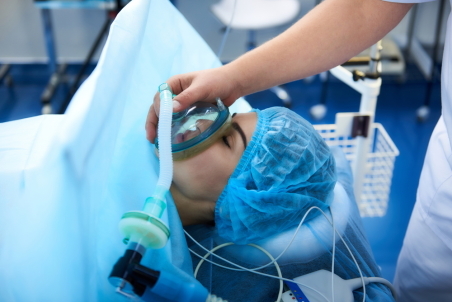 You will need to talk to your anaesthetist about what type of anaesthetic you will need. This will depend on your health and age, and on what procedure you're having. The Canterbury DHB Department of Anaesthesia has produced a leaflet on patient-controlled pain-relief (also called patient-controlled analgesia, or PCA). This can sometimes be used after operation, but it is not always suitable. Written by HealthInfo clinical advisers. Endorsed by Clinical Director of Surgical Services, Burwood Hospital, Canterbury DHB. Last reviewed February 2017.